How would you describe Big Ben: neo gothic masterpiece? 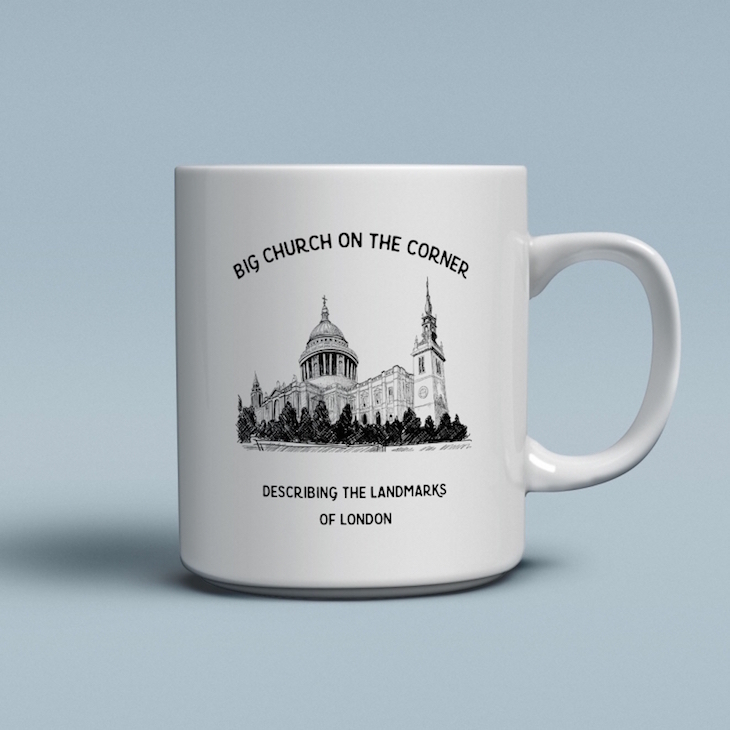 Parliamentary timepiece? It's-not-actually-called-Big-Ben-that's-the-bell-and-what-you-actually-mean-to-say-is-the-Elizabeth-Tower-dear-god-don't-you-know-anything? 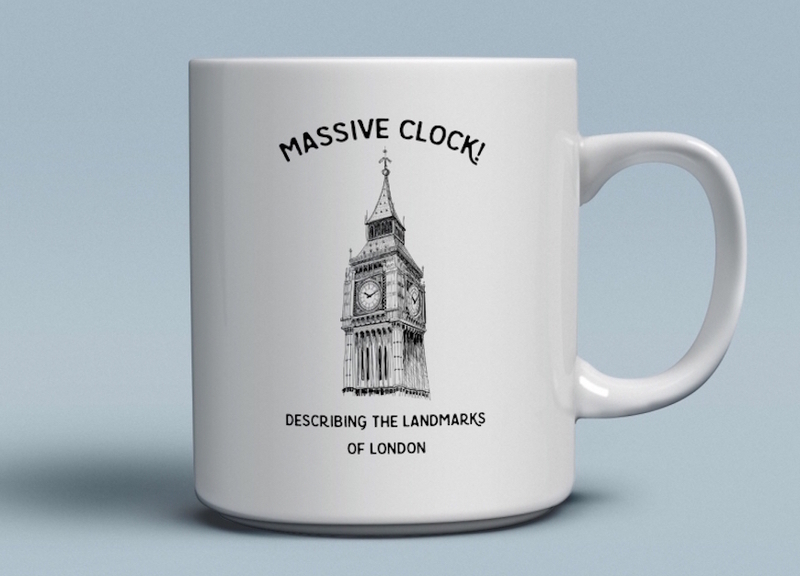 Well WE think this iconic bit of London is best described as a massive clock! 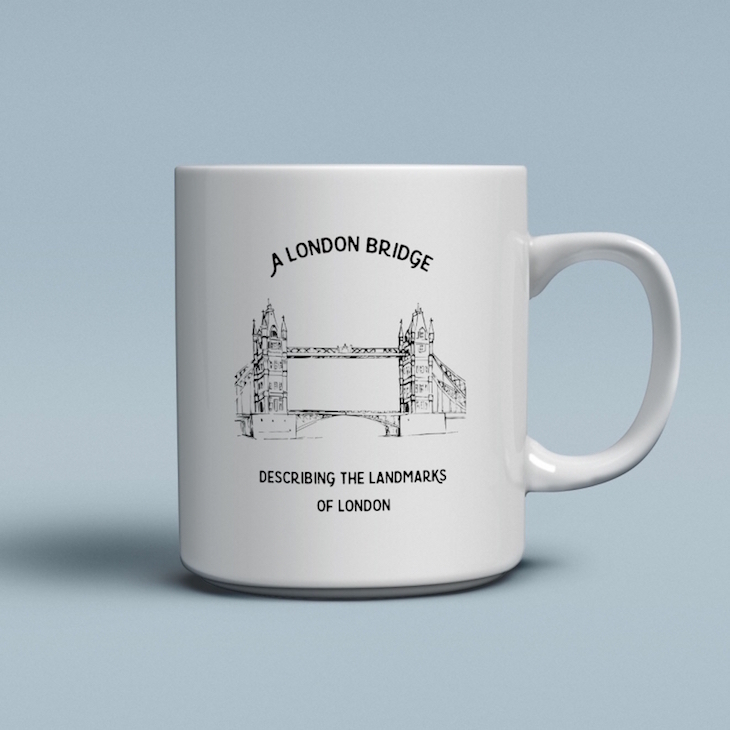 — just as we've done on this exclusive Londonist mug. 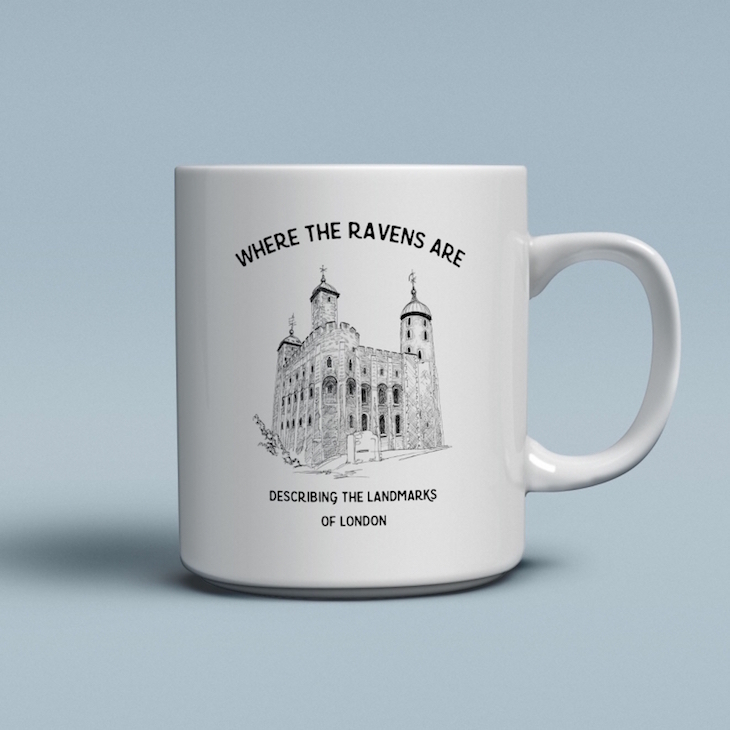 For the sake of ease we've also described the Tower of London as 'where the ravens are', St Paul's as a 'big church on the corner', and Tower Bridge as 'a London bridge' (clever that one, isn't it?). Treat yourself to a squeaky new be-handled beverage container this weekend. Or buy the whole set and treat select office colleagues. Browse the full Londonist collection.